Although there are many potential sources of exposure to mercury and its compounds, most people can be reassured that they are at low risk of mercury toxicity. The exception to this is the exposure of the developing foetal brain to organic mercury. Laboratory testing of mercury levels is generally not appropriate unless specific indications are present such as a history of mercury ingestion or occupational exposure. Occasionally patients may present to primary care expressing concern about mercury toxicity, or requesting testing following their own research. Although there are many potential sources of exposure to mercury and its compounds, most patients can be reassured that they are at low risk of mercury toxicity. The exception to this is the exposure of the developing foetal brain to organic mercury. The adverse health effects of mercury exposure depend on its chemical form (elemental, inorganic or organic), the route of exposure (inhalation, ingestion or skin absorption), and the level of exposure. Vapour from liquid elemental mercury and methyl mercury are both more easily absorbed than inorganic mercury salts and are therefore more toxic. The American Dental Association (ADA) states that amalgam is a safe material with no sound scientific evidence supporting a link between amalgam fillings and systemic diseases or chronic illness. The U.S Food and Drug administration group (FDA) concludes that amalgam fillings do not significantly contribute to mercury-related toxicity. The FDA found that in adults and children aged six years and over, who have fifteen or more amalgam surfaces, mercury exposure was far below the lowest levels associated with harm.5 In addition the FDA does not recommend that amalgam fillings are removed or replaced. Removing sound amalgam fillings results in unnecessary loss of healthy tooth structure, and results in exposure to mercury vapour released during the removal process. 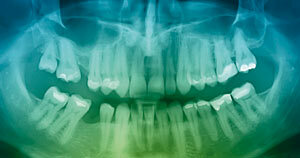 Although amalgam fillings are considered safe, research to develop new filling materials is ongoing. The developing foetus, infants and young children are most susceptible to mercury-related neurotoxicity that may result from consuming large amounts of fish. The New Zealand Food Safety Authority advises that pregnant women should choose fish varieties with lower mercury concentrations.3 Fish that are likely to contain the lowest levels of mercury include: farmed salmon, skipjack tuna, tarakihi, blue cod, hoki, john dory, monkfish, warehou, whitebait and flat fish (e.g. flounder), as well as mussels and pacific oysters. Small, canned fish such as sardines and mixed fish (e.g. fish portions and fish fingers) can also be eaten without restriction. Urine testing is used to assess chronic exposure to inorganic and elemental mercury. Organic mercury exposure (i.e. through seafood ingestion) usually only has a minimal effect on urine mercury levels. In a primary care setting, testing for mercury in other samples, e.g. hair, nails or cerebrospinal fluid, is difficult and expensive, and is not recommended. Thank you to Associate Professor James Davidson, Labplus, Auckland City Hospital for providing expert guidance in developing this article. Kyle C (editor). A handbook for the interpretation of laboratory tests. 4th Ed. Auckland: Diagnostic Medlab; 2008. New Zealand Food Safety Authority. Mercury in fish. Food Focus. November 2008. Available from: www.nzfsa.govt.nz/publications/food-focus/2008-11/page-13.htm (Accessed Nov, 2010). Davidson J. Mercury testing: Fact Sheet. June 2010, Auckland City Hospital: Labplus; 2010. U.S. Food and Drug Administration (FDA). About dental amalgam fillings. Available from: www.fda.gov (Accessed Nov, 2010). George PM, King R, Grant SJ, et al. Handbook of biological monitoring for health, 3rd ed, Christchurch, New Zealand: Canterbury Health Laboratories; 2009. Available from: www.labnet.co.nz (Accessed Nov, 2010).